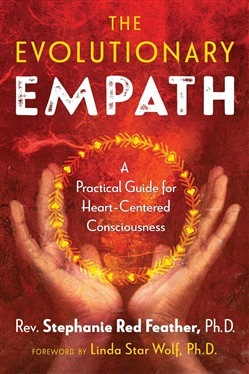 A guide for empaths seeking to understand their unique nature, fully manifest their gifts, and embrace their role in the evolution of human consciousness • Explores how an empath’s qualities are strengths, not weaknesses, and why empaths are the way-showers for the next step in human evolution • Includes techniques and exercises to help you understand, control, and fully manifest your gifts, including how to clear your energy field and reclaim your sense of self • Explains the importance of embracing both the Divine Masculine and Divine Feminine and the impending reactivation of dormant levels of consciousness, which will upgrade our human operating systems to function at a higher frequency • Includes access to online meditation tracks As an empath herself, Stephanie Red Feather has experienced firsthand the challenges of being extremely sensitive to subtle energies and the emotions of others. She knows that it can be overwhelming and cause you to lose yourself and doubt who you are. With this guide for anyone who’s ever felt out of place because of their sensitivity, Red Feather offers advice on how to manage life’s difficulties as an empath as well as insight into how these qualities are vitally important to the future of humanity. Affirming that being an empath is a real thing and you are not alone in your experience of the world, Red Feather offers practical exercises to help you understand, control, and fully manifest your gifts. She explains how to clear your energy field, stop energy leaks, and reclaim your sense of self. She warns of the pitfalls of being an empath, such as employing your gifts in unhealthy ways, and stresses the importance of embracing both the Divine Masculine, to create boundaries and safety, as well as the Divine Feminine, to practice radical self-care and live authentically from your own center. Red Feather explains not only that there are now more empaths than ever before, but that this surge in numbers is no coincidence. With the dawning of the Age of Aquarius, empaths represent the new human blueprint. They are the way-showers for the next step in human evolution, and they have a cosmic mission: to usher in a higher level of human consciousness, centered in the heart chakra. Red Feather also explains the impending reactivation of dormant levels of consciousness and cosmic memory, which will upgrade our human operating systems to function at a higher frequency. This shift is already acutely felt by empaths and will allow us to reclaim the lost powers of our ancestors. 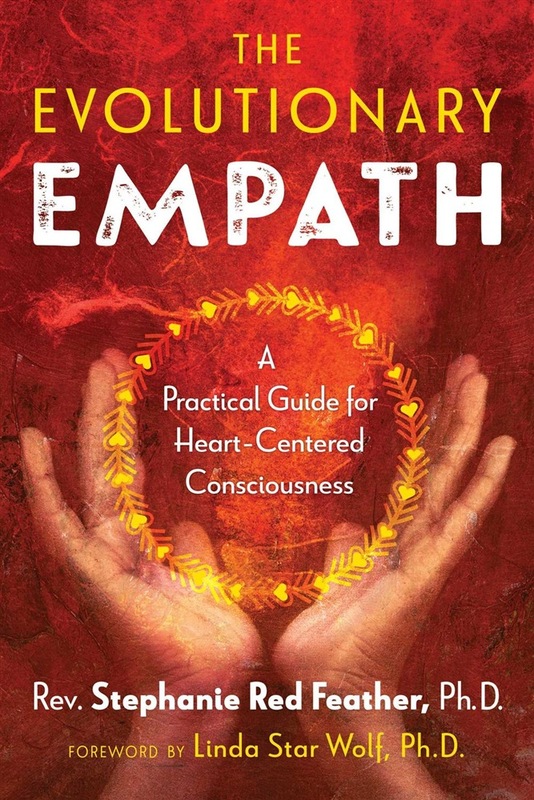 With this hands-on guide, Red Feather provides empaths the tools they need to empower themselves and embrace their essential role in the next step of humanity’s evolution and ascension into the frequency of heart-centered consciousness. Acquista The Evolutionary Empath in Epub: dopo aver letto l’ebook The Evolutionary Empath di Rev. Stephanie Red Feather ti invitiamo a lasciarci una Recensione qui sotto: sarà utile agli utenti che non abbiano ancora letto questo libro e che vogliano avere delle opinioni altrui. L’opinione su di un libro è molto soggettiva e per questo leggere eventuali recensioni negative non ci dovrà frenare dall’acquisto, anzi dovrà spingerci ad acquistare il libro in fretta per poter dire la nostra ed eventualmente smentire quanto commentato da altri, contribuendo ad arricchire più possibile i commenti e dare sempre più spunti di confronto al pubblico online.